As of June 18, 2018, the California Department of Fish and Wildlife (CDFW) is accepting proposals for wetland restoration projects to provide greenhouse gas benefits under its Wetlands Restoration for Greenhouse Gas Reduction Program. For Fiscal Year (FY) 2017-18, $12.75 million is available from the Greenhouse Gas Reduction Fund for projects. The Proposal Solicitation Notice released today focuses on restoration of coastal tidal wetlands, Sacramento-San Joaquin Delta wetlands, and mountain meadows, to provide greenhouse gas benefits and other co-benefits. The FY 2017-2018 Proposal Solicitation Notice, application instructions and other information about the grant program are available at www.wildlife.ca.gov/Conservation/Watersheds/Greenhouse-Gas-Reduction. This is the second solicitation since the establishment of CDFW’s Wetlands Restoration for Greenhouse Gas Reduction Program in 2014. The first grant cycle was completed with approximately $21 million being awarded to 12 projects to restore or enhance approximately 2,500 acres of wetlands and mountain meadows for the purposes of greenhouse gas benefits. The Wetlands Restoration for Greenhouse Gas Reduction Program is part of California Climate Investments, a statewide program that puts billions of Cap-and-Trade dollars to work reducing greenhouse gas emissions, strengthening the economy, and improving public health and the environment – particularly in disadvantaged communities. The deadline to apply is Tuesday, July 31, 2018 at 4 pm PST. 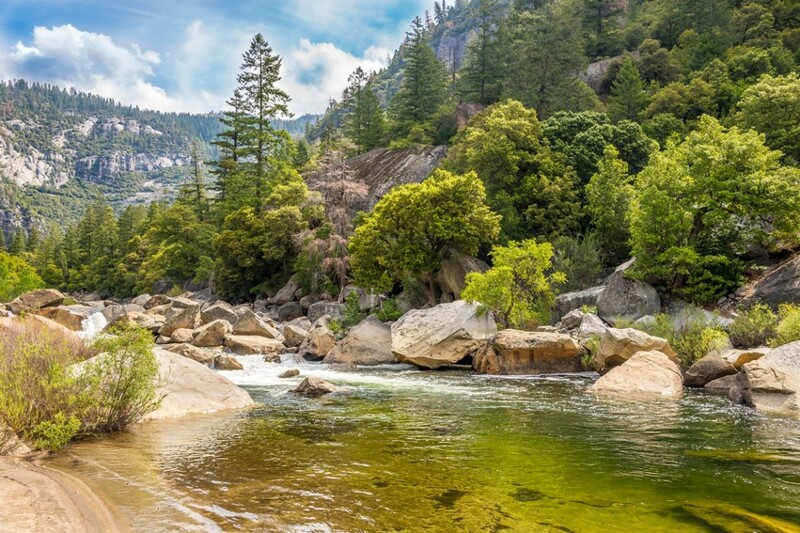 Photo of Merced River in Yosemite National Park via Adobe Stock. See California Climate Investments website.